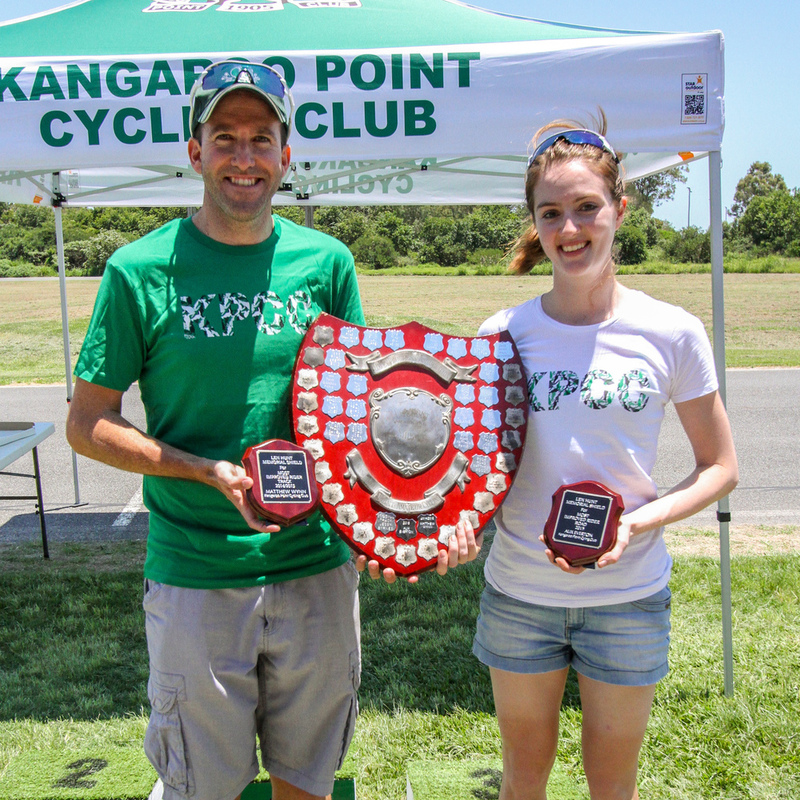 Kangaroo Point Cycling Club welcomes members of all abilities, from elite and masters cyclists to recreational social riders and supports members in their pursuit of excellence in the sport. Congratulations to all members on our Honour Roll! Life Membership is an honour bestowed on long serving club members. Matthew Payne (Team ActivCycle Coaching for KPCC) with club mates showing off National Champion Bands for his win in the 2012 National Championships Road Race (Masters 1-3). The Club was pleased to award the 2015 Len Hunt Memorial Shield jointly to Alix Everton and Matthew Wynne. 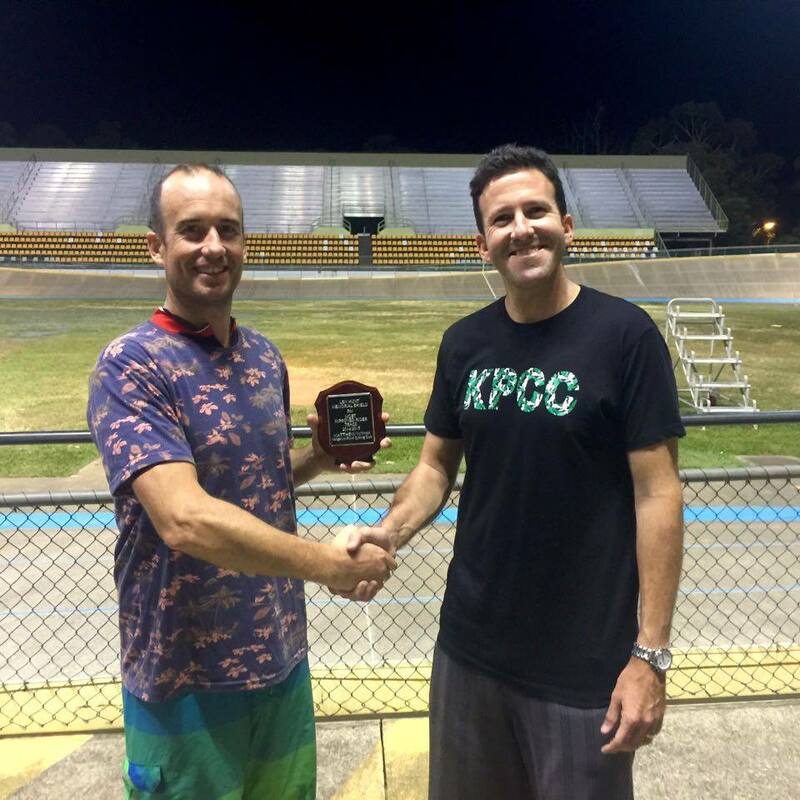 This award recognizes the most improved rider in the Club over the past year and is a reflection of a rider’s commitment to their training, in some instances results, and their broader club spirit. Alix has progressed along an impressive upwards trajectory with a strong focus on training paying dividends with impressive results and grading changes during 2015. From novice rider in 2014, Alix has shown impressive improvement and now makes the time to use her experience and expertise to contribute to the development of other Club Members. Matthew has similarly progressed with strong improvement in his training and results on the Track. In particular, Matthew was a key contributor to the Club’s 2015 track team for the Chandler Challenge and has achieved significant and impressive skills and results growth over the past year. Darren is the second recipient of the Club Volunteer of the Year award. The award recognizes the contributions of ordinary Club Members who go above and beyond in their commitment to the Club. As the Club’s Quartermaster, Darren has been integral in growing the presence of the #greenwhiteblack by outfitting members in our Club Kit, as well as producing special edition kits, socks, arm warmers, knee warmers, jackets, tees and bottles. Under Darren’s leadership our Club Shop, which has occupied Darren’s dining room for many years, has grown to be an asset for our Members and a welcoming friendly point of contact for new members. In addition to his duties in the shop Darren also produces graphic design content for the Club, regularly contributes to our social media channels, is an active Volunteer across nearly every Club activity and also leads many rides as a Ride Leader.